It’s been almost two years since I started blogging, and I’ve been thinking a lot about my journey as a blogger. When I started blogging, I wrote the kinds of posts that I thought I should be writing. I guess I tried to emulate my favorite bloggers, too. 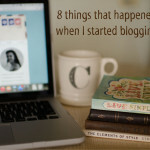 I learned a lot about blogging, but I don’t think that my passion was coming through. And then one day, I had a realization. The blogs that I love to read, the bloggers whose new posts I anxiously await, are the ones that are the most unique. My favorite bloggers are the ones who let their personality shine. My favorite bloggers embrace their quirks and love being different. They go after their passions and chase their dreams, no matter how far-fetched. My favorite bloggers are the ones that are unapologetically themselves. They open up their hearts and let themselves be vulnerable every now and then. I realized that instead of trying to be like everyone else, I need to be me. Especially on my own blog! Through writing, I find out what is important to me. With each new blog post, I discover something new about myself. Blogging has helped me discover who I am, love my weirdness, and embrace my quirks. That’s why I changed my blog’s name, and that’s why my posts have become a bit more serious. That’s just who I am. There are so many blogs out there that all sound the same. They are boring. But by simply being themselves, my favorite bloggers have taught me that in order to be succesfsul in any area of your life — gosh, in order to be happy — you have to be fiercely you. I think it’s hard to just be ourselves sometimes, especially for bloggers. When we see something that works for another blogger or has helped another blogger become successful, we have an instant desire to be like them. We might not even realize it. But fitting in is boring. You want to read a book that opens you up to a new idea. You want to follow a blogger who has a unique perspective on the world. You want to watch a movie that will surprise you. We crave the unique. So copying other people, doing what you think you shoud do, or compromising yourself in any way isn’t going to help you be successful. Most importantly, it’s not going to bring you happiness. With your passions, with your uniqueness, there is no limit to the beauty you can bring into the world. Beauty that only you can bring into the world. Isn’t that a wonderful thought? This is me: You can usually find me wearing a sweatshirt, drinking the largest cup of coffee I can find, and eating anything that has both peanut butter and chocolate. I adore fantasy and science fiction, to the point where I get obsessed with my favorite series. I’m messy and disorganized. I wrote my college thesis on Harry Potter, and it was the best thing I did throughout my entire college experience. Working out is one of my favorite things to do, because getting stronger makes me feel good about myself. I love to travel and I’m always planning my next trip. I especially love road trips. I’m always trying to be outside. Going hiking, drinking coffee on the porch, or being at the beach makes me feel alive. I don’t wear makeup, and I put my hair in a braid almost every day because it’s the easiest hairstyle I can do. I am super awkward when I meet people, but I really want to be your friend. 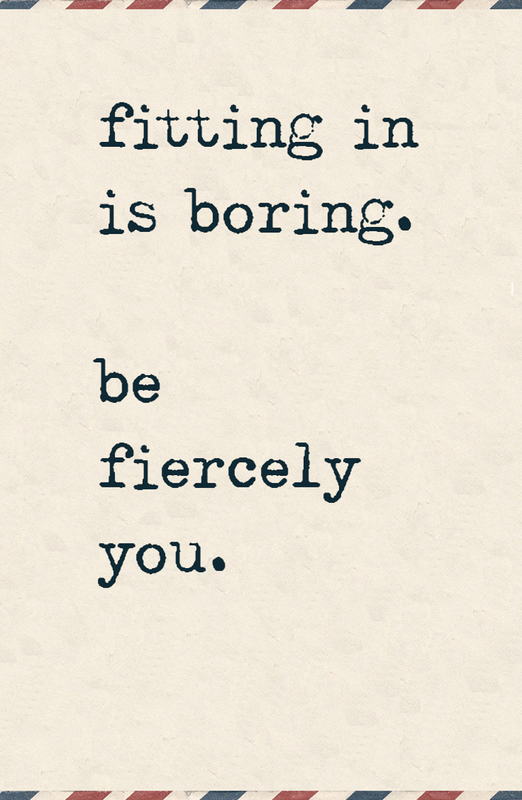 What makes you fiercely you? I love this! Like I told you before, I love the direction you are taking with your blog. I love your writing voice, and getting to know you more through posts like this. Plus, I just discover that we have one more thing in common, drinking coffee outdoors. I just love doing that! Thank you so much, Isabel. I have noticed you taking on some of the hard topics related to being an expat and I feel like I can totally relate to the struggles, triumphs, and the craziness. I love your writing and yours is one of the blogs I really look forward to reading. Coffee outside is one of my favorite things ever. Today it is raining so hard so I am drinking my coffee inside but I am so excited for the warmer weather to get here soon so I can go outside on my porch and have my coffee! I really think that it is a struggle with blogging to stay true to yourself, but it’s the best thing that a blogger can do! Sometimes I find myself getting influenced by other bloggers without even realizing it. One of the reasons I love your blog is because you have such a strong, unique voice, and also because you are always going on different kinds of adventures! Love this! I both want to return to my original vision for my blog, but also realize I’m not the same person I was when I began it. As a result I’ve been hanging on to the blog by a thumbnail, posting a few updates but not grappling that much with the topics and perspectives I really long to reflect on. Thanks for the inspiration. Hey Kari! I totally understand your predicament. I first started my blog with the intentions of being a travel blog about Hawaii. 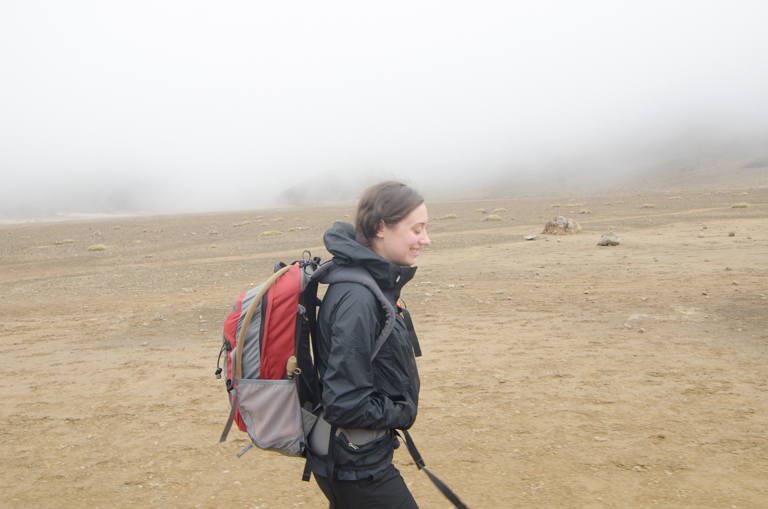 I wrote a lot about Hawaii when we lived there and then when we left, I wasn’t sure what direction my blog should go in. I wrote a few different kinds of posts to test the waters about what I would really enjoy writing about and what would resonate with people. 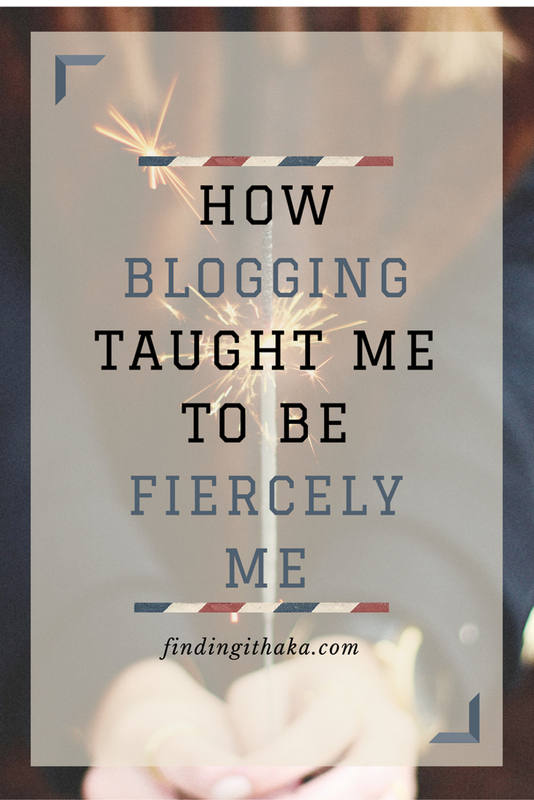 I am not sure exactly what kind of blog I would call Finding Ithaka but I love that I’m finally starting to write about topics that are so important to me. 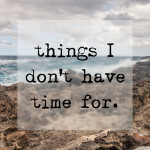 I think that sometimes we write blogs that are specific to the place we are in in our lives at the moment and it’s totally okay to change your direction. That’s exactly what I’m trying to do with my blog, let my quirks hang out. It’s not always the easiest thing to do. My favorite blogs though are the ones where the bloggers are honest and real. It seems like it should be easy and come naturally, but it really isn’t. 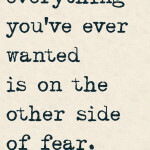 I think that a lot of times we are afraid to put ourselves out there completely, so we hold back. But the best posts are the ones that are 100% real. Keep doing you! 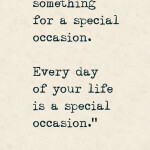 Great post, keep being you! I also wrote one of my big pieces of school work on Harry Potter! I’d love to know who your favourite bloggers are! Thanks Danielle! I have so many favorite blogs!! Some of my favorites are Hello Neverland, The Lady Okie, Adventures of a London Kiwi, Why Waste Annual Leave, The Sunny Side of This, Mr. Money Mustache, and I just started reading Ember Grey.. Two of my real-life friends who have blogs that I love to read, too. One is Planes, Trains, and Running Shoes and the other is Faith, Hope, and Baseball. Love this so much! It really is easy to fall into the trap of trying to emulate other bloggers because you love their blogs so much, but you have to remember the reason why you love them in the first place. 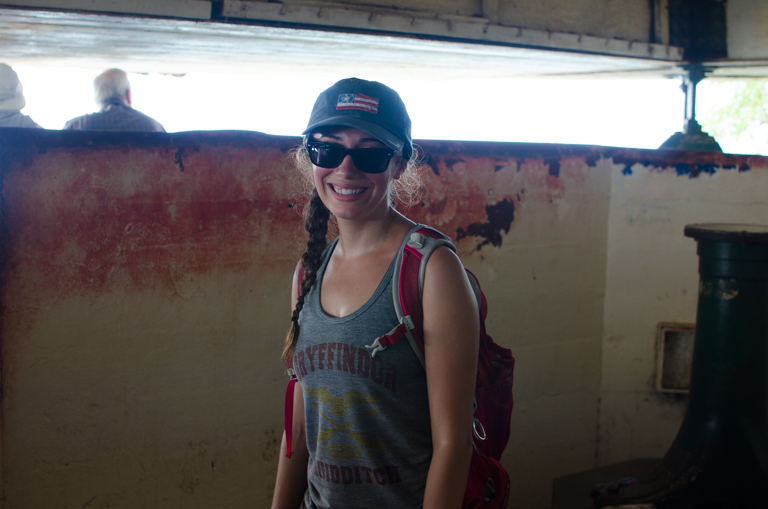 I love the fact that you wrote your thesis on Harry Potter! That’s so awesome! Thank you Ashley! I read so many blogs that sometimes I don’t even realize I’m doing it. I’ll be brainstorming ideas and then I’ll be like, oh no, I just read that on another blog. But with blogging I think that the only way you can enjoy it is to be 100% you. Oh, I was thinking about the same thing today when was scrolling bloglovin feed to find something interesting to read!!! And then my thoughts were that nowadays the only way to stand out is just be really yourself. What makes me the way I am? I think my a bit cynical point of view and not being obsessed with a) brands b) materialism c) ‘trendy’ stuff. P.S. Writing thesis on Harry Potter must be so enjoyable. Hey Katya! I am going to have to hop over to your blog, because brands/materialism/trendy stuff are definitely things I don’t enjoy. With so many blogs focused on these things, I think that a blog that isn’t super obsessed with these things is a breath of fresh air! What a great post! 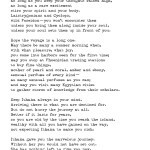 I love your voice and uniqueness – in a sea of so much fake and gloss out there it is great to see someone really keeping it real. Oh how I wish I could also spend my days hanging out in a sweatshirt as comfortable as yours looks too!! !